Do you have 13 minutes to kill? 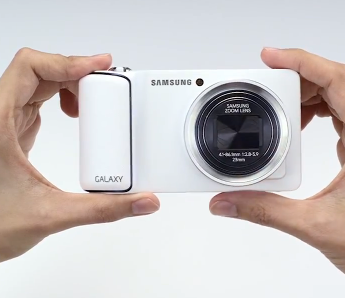 Is the Galaxy Camera something that might interest you? Then you may as well watch this 13-minute long video Samsung posted about it. It'll tell you stuff. Stuff about the Galaxy Camera. Personally, I like it with a glass of warm milk before bed, but we thought we'd share it, as the Galaxy Camera's features are laid out quite completely and thoroughly. If you can survive the narration. As a reminder, the 3G-enabled Galaxy Camera is currently available on AT&T in the US, for $500.